What if an uncontrollable zombie outbreak took place in a world that contains vampires? In Dominion of the Damned, the vampires seize their chance to overpower humanity, herd them into labor camps, establish blood mills and prevent the extinction of their only food supply. Hannah Jordan is a human survivor whose sole mission is to stay alive so she can prevent her orphaned baby brother from becoming monster food. Aleksandr Konstantin is a vampire whose ideas about how best to preserve humanity are at odds with the established powers that be. He's also a doctor and scientist intent on finding a way to end the zombie threat for good. When their paths cross, the doctor has a new mission in mind for Hannah-one that he claims could place humanity on equal footing with their vampire overlords. But can she trust him? With her brother's safety at stake, does she really have a choice? 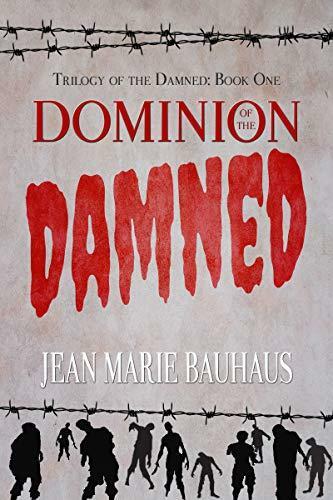 The first book in the Trilogy of the Damned is a fast-paced thrill-ride that combines the scares of classic zombie horror, the dark romance of a vampire drama and the intrigue of a dystopian thriller. 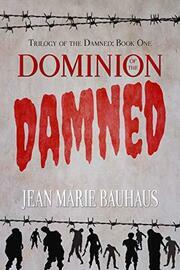 Includes the first look at Deliverance of the Damned, the second installment of the Trilogy of the Damned!